Street Cart Pretzels from the cookbook, NYC Vegan – homemade soft baked pretzels are easier to make than you think! Now you can have your favorite vendor snack anytime you want. Plus, a chance to win a copy of this new cookbook for yourself! Have you ever dreamed of wandering the streets of New York City, gazing up at the tall buildings, taking in the sights, and popping in to a famous restaurant or stopping at one of the oh-so-popular street vendors for a taste of the Big Apple? It feels like everyone I know has either been to NYC or has it on their bucket list. I was there on a high school trip (almost 25 years ago!) and it was quite the experience. While I can’t get you to the city, I am going to tell you how to enjoy famous New York recipes in the comfort of your own home. 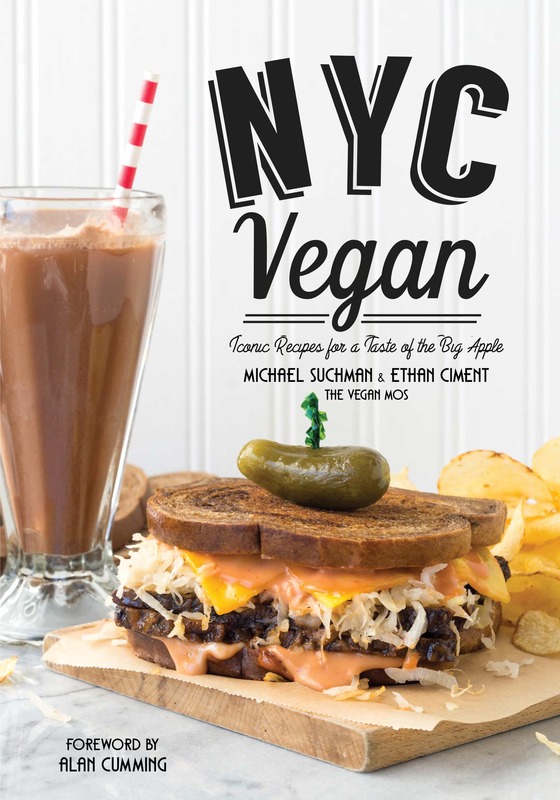 In NYC Vegan: Iconic Recipes for a Taste of the Big Apple, Michael Suchman and Ethan Ciment (of the blog, Vegan Mos) share delicious favorites, all veganized. The book celebrates the diversity of this great city through it’s food! Keep reading for a full review, the recipe for Street Cart Prezels and for a chance to WIN A COPY of the cookbook for yourself! Food has been sold in street carts in New York City from basically it’s beginning. The food sold from these carts is as diverse as the city’s population and has changed over the years to reflect the new cultures as they arrived. 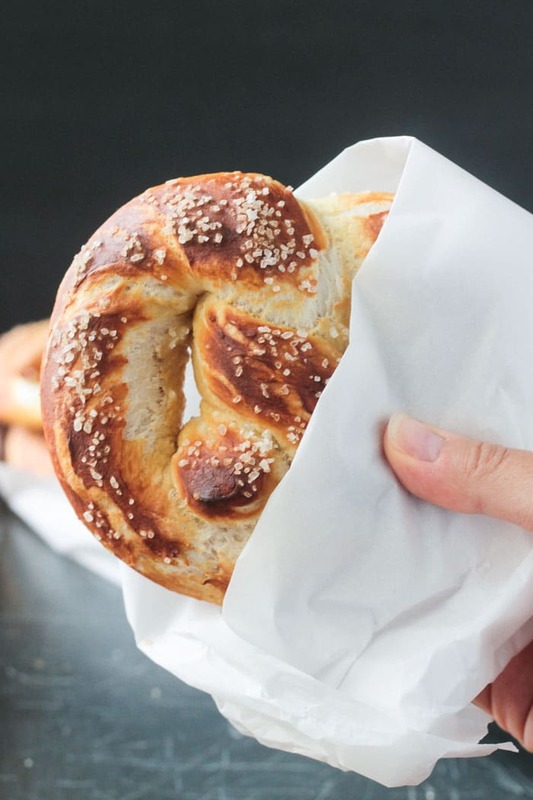 A staple snack of the food carts throughout the years, introduced to New York from the Germans, is the Soft Pretzel. My hubby and kids have a love for salty soft pretzels, so when I saw the recipe for the Street Cart Baked Pretzels in NYC Vegan, I knew we had to try them! And, oh boy, are they good! Crispy, chewy outsides with fluffy soft insides, dotted with chunky coarse salt – there is a reason we have made FOUR batches….so far. Before we get to the baked pretzels recipe, take a look at what you’ll find inside the rest of the book. From NYC Vegan, copyright © 2017 by Michael Suchman and Ethan Ciment. Used by permission. Photo by Jackie Sobon. There are also chapters titled The Flavors of New York City and Being Vegan in New York City. The latter includes a list of vegan restaurants and which neighborhood you’ll find them in. Let’s just take a moment to look at just how fluffy the insides of these baked pretzels are! They come out perfect every time (and remember I’ve made 4 batches!). And they are so super easy to make – promise! 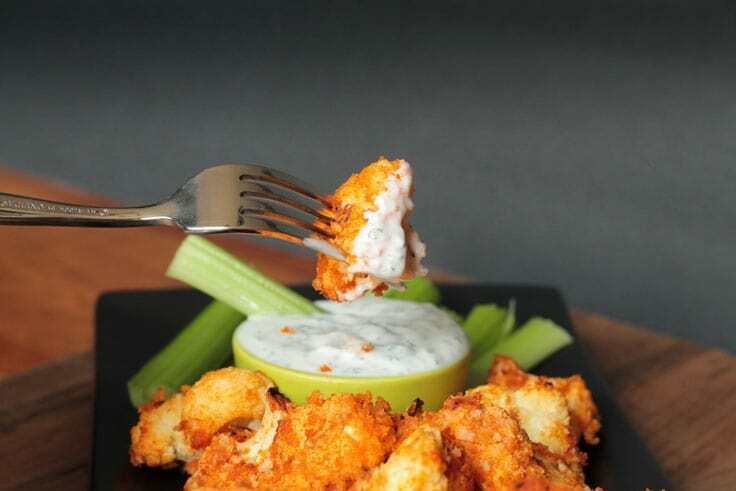 Dunk them in some grainy mustard for a snack that’s hard to resist. I hope you love these Street Cart Baked Pretzels as much as we do. If you try them, please come back and leave me a comment below with your feedback and star rating. You can also find me on social media. Be sure to tag @veggie_inspired and #veggieinspired so I’m sure to see it. Enjoy!! And don’t forget to keep scrolling after the recipe for your chance to WIN A COPY of NYC Vegan! From NYC Vegan, copyright © 2017 by Michael Suchman and Ethan Ciment. Used by permission. You know you want to make these recipes yourself, so enter to win your own copy of NYC Vegan below! If you just can’t wait to see if you win…and who could blame you…you can buy a copy here. Black & White Cookies, Street Fair Corn, New York Cheesecake, and Waldorf Salad. I just made these and they are awesome! Just like the real thing but I guess now I’m wondering the best way to store these? In a container at room temp? The fridge? Could they be frozen? Hi, Katie! Aren’t they awesome?! I have stored them on the counter loosely covered for a couple of days. They don’t last much longer that, so I haven’t tried freezing them. I would suspect you could store them just like bread…and even freeze them. After a day or two, I would store them in the fridge and reheat in the microwave next to a cup of hot water for extra moisture. Same thing, after defrosting from the freezer. Let me know what you decide to try and how it works! Good but mine came out like pretzel buns. Still tasty. Maybe I could have made more so they would have been thinner and less like a bun. What do you mean by “buns.” They didn’t hold their shape? This is just so yummy. I made this today with my daughter.. and uhmmm.. so soft and I can’t resist to eat more.. So glad you loved them! looks so amazing! I can’t wait to make it! But I have a question about 1 1/4oz dry yeast, does it mean 11teaspoon?! Hi, Yu! It’s definitely ounces. The little individual packs are usually 1/4 oz each if you can find those. Hope you love the pretzels. The recipe needs x1 sachet of dry active yeast which will be a 1/4 oz sachet (7g). Yes, thank you! Now that I’m looking at it again, I can see where the confusion was. I edited it so it’s more clear. Spinach Artichoke Dip sounds like the perfect accompaniment! Hope they are a hit! These look great! Was wondering about using a whole wheat flour instead. Any alterations needed for that? Please forgive me if someelse asked this, I did not read through all of the comments. Thank you for sharing the wonderful recipe! Also would you recomend.regular whole wheat flour or whole wheat pastry flour? Regular whole wheat should be fine. White whole wheat or spelt flour should also work. I think it would work just fine. They will likely be a little more dense, but still delicious. Let me know how they turn out. I am not a city type of gal, but have been to NYC several times in my life. What I enjoy most about it is the vast amount of ethnic and specialty restaurants. So much good food there! I spent a few hours in the airport, but never have been in NYC. Maybe one day. Gonna make some pretzels for sure. Thanks for the recipe. I hope you get there one day. Enjoy the pretzels! These look so good! I haven’t made pretzels in such a long time! I can’t say that I ever had a street cart one but there is so much other wonderful food in nyc! I love NYC, it is my favorite city in the world! I’ve been twice for a week each time and there is so much to see, so many amazing things and the amazing energy never stops. I wouldn’t want to live there, but there is no better place to visit. Plus, I think all the diversity and amazing people are what make NYC like no other place. 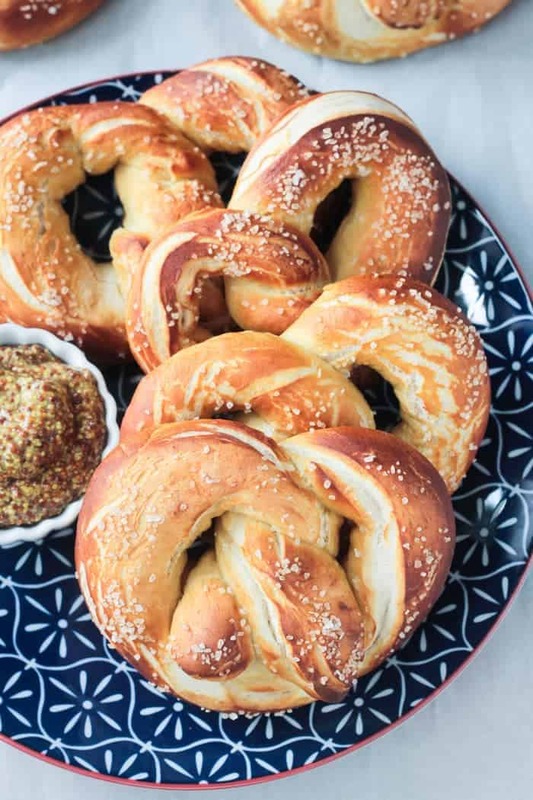 Now, these pretzels look bomb, I absolutely love homemade pretzels and they are a total comfort food! I agree – it’s a fantastic place to visit, but I don’t think I could have that crazy hustle and bustle ALL the time. This was my first time making homemade pretzels – shocked at how easy they are!! Definitely will be happening a lot more! I’ve only been to NYC once and that was about 12 years ago! But I loved being there and seeing all the sights. It was fun seeing Times Square and the Statue of Liberty. Would love to go back again in the future. BTW, these pretzels looks amazing. Definitely making these for the boys (and hubby) next week! Thanks, Jenn! I think your family would love these! I was in NYC as a high schooler, so it would be fun to go back again as an adult. I’m sure I would have a totally different experience. Thanks, Becky! I hope you love them. Good luck! I love fresh baked pretzels. These look so beautiful! I will definitely check out the book. Thanks! Thanks, Sarah! You would love them! I would LOVE to know how they turn out with GF flour. Please stop by and let us know! Thanks, Sarah! yes, I *love* NYC! I love every single thing about it! 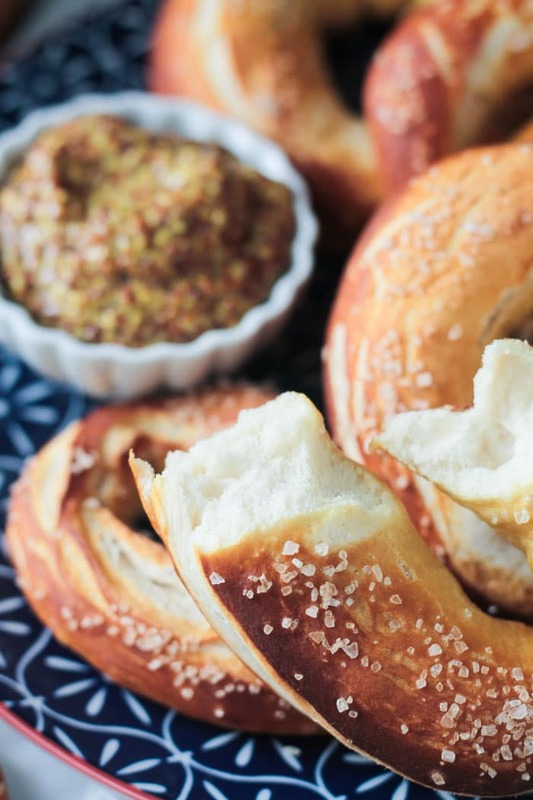 we are loving this book, and these pretzels are definitely on the list to make. yours look fab! Thanks, Kristina! You will love them! I agree – loved Broadway! I’ve never been to NY but I would love to visit one day! I hope you get there one day! Since pretzels are probably one of the few cart foods I could actually eat in NYC, I’m totally in for these. Thanks for the review, Jenn! I’ve actually heard they aren’t vegan from the street carts in NYC!! Not sure what the heck they are putting in them, but these homemade ones are for sure a safer bet! It still blows my mind that you can make pretzels like this at home! I love this cookbook! I know, right?! 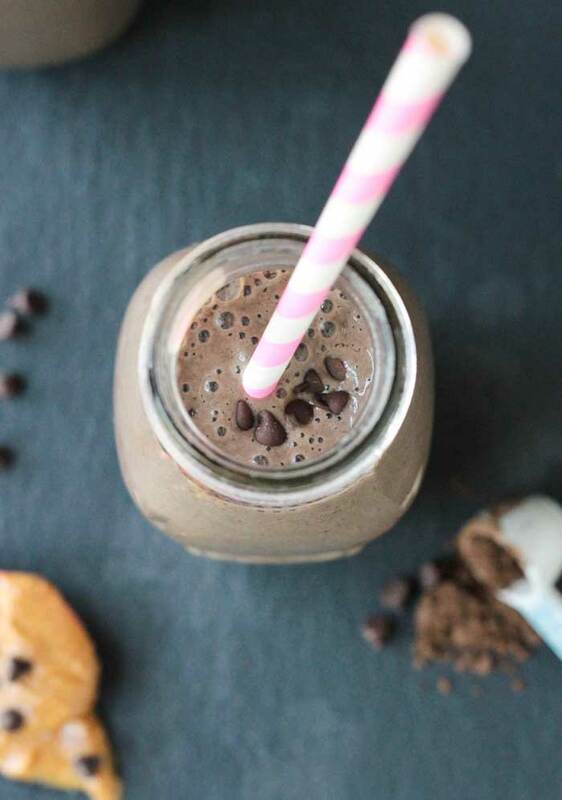 I always am intimidated when I see recipes like this, but my gosh, it’s so easy! I went to NYC when I was a teenager. Enjoyed Fiddler on the Roof on Broadway. I’m with you on the crowds – definitely not my thing. But, I did enjoy the time that I was there. We saw Cats on Broadway and I loved it! And, I LOVE the mountains – went to Breckenridge last year and fell in love. What a lovely cookbook! 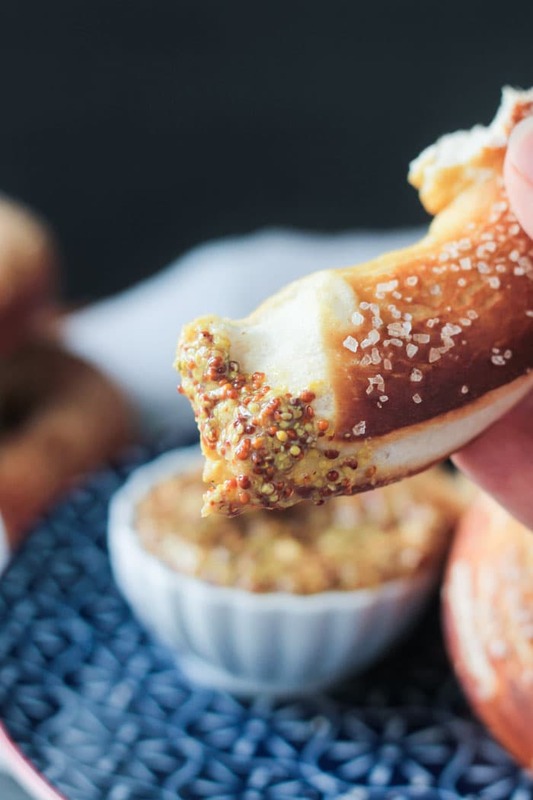 These pretzels are nothing short of dreamy. I want one with grainy spicy mustard! Dreamy they are! Thanks, Julie! You’d love them. Soft pretzels are such a weakness of mine! They were a staple for survival in college. I must make these! And that book sounds amazing – I’m seeing so much of it lately. It’s a great book. A little piece of New York in your own home. Enjoy! I’ve never been to NYC but I’ve always wanted to go, especially a walking tour of Greenwich Village! Thanks for the chance! Sounds fabulous! Good luck, Rusty! My favorite thing about NYC is all the amazing vegan food! And Broadway shows. 😉 My favorite restaurants there are Candle 79 and Hangawi. I’ve heard so many good things about Candle 79. Hope to get there some day! I’ve eaten many pretzels from street carts in NYC without realizing that they weren’t vegan. I didn’t realize it until I heard Michael and Ethan talking about it on JL’s radio show. Idk! I have this recipe printed out and tacked to my fridge. I plan on making them soon! I would have assumed they were too! No need to spend your money anymore though because these are perfection! Oh my gosh these look amazing! That grainy mustard is a must too! Yum! It’s hard to resist a fresh warm pretzel! Great vegan restaurant resource, sounds like a foodie adventure needs to be had in NY! Yes, for sure! Thanks, Kristina! I recently visited NY for the first time. Amazing! We were not there long enough to experience it fully. We visited One World Trade Center and walked for miles! Times Square. Grand Central, Central Park, a boat ride passing by Ellis Island & the Statue of Liberty (fyi, you have to schedule tours months in advance to actually go there!). I don’t think I could live there, but would love to visit again…only for longer than 2 short days. Sounds like a fabulous trip! I agree, I don’t think I could live there either, but I think everyone should experience it at least once. Growing up in NYC was an introduction to wonderful international food. I’ll try making your pretzel recipe as this is one thing my husband could never resist. Oh, that’s great EJ! I hope you both love these pretzels. Enjoy! My favorite thing about NYC is that my eldest son lives there and he loves all the hustle and bustle! We plan to visit him there one day soon. This recipe book seems to have captured many of the great tastes of this city! Oh, how fun! If you get your hands on this book, you’ll definitely have to check out the vegan restaurant section at the end so you can try them out while you’re there! Thanks, Dee! My favorite thing about NY is the variety that is found there – people, places to go, things to do ….. I agree! The diversity makes it so fun! Wow! These look amazing! 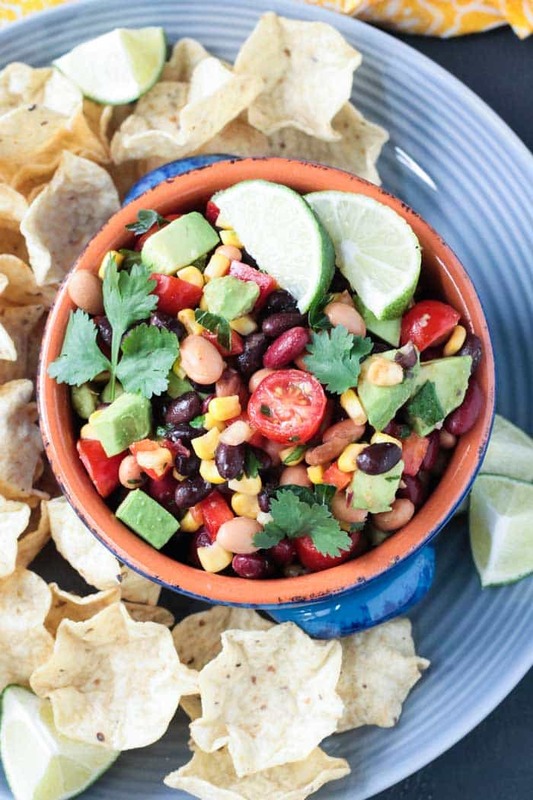 I have been eyeing this recipe, and I think you have convinced me to dive in and make it!